By popular demand, Encore Event Group is now offering the same classic old world light you see at the Olive Garden’s. Bistro light strands enhance your space and are functional at the same time. They give a unique feel to outdoor events by creating a ceiling effect. Since the lights have a variable control feature, you can adjust the intensity of their brightness. Think of this as a way to control the lighting as the mood of the wedding reception changes. 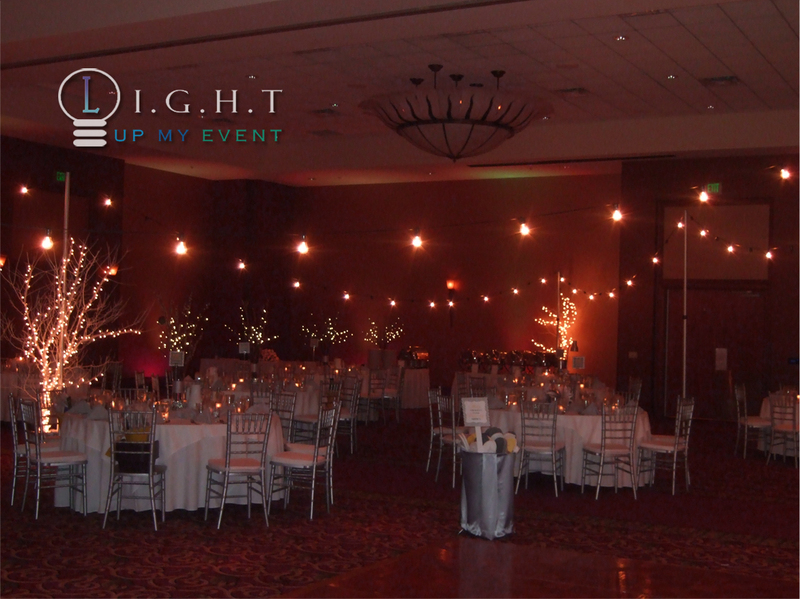 We offer this lighting package for more than just weddings, these have also been done at corporate events and graduation parties. We can work with strands up to 75 feet in length, so how much we use will be determined by your room layout. Want a closer look at the lighting, watch our youtube video clip below!